One man's views of Seoul, presented one day at a time. 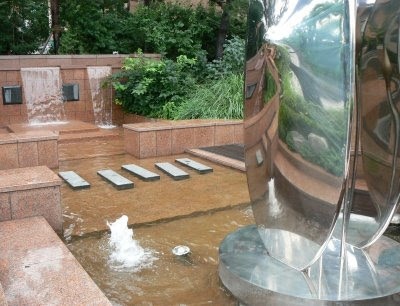 The fountain outside the Somerset Palace Serviced Apartments in the heart of Seoul. 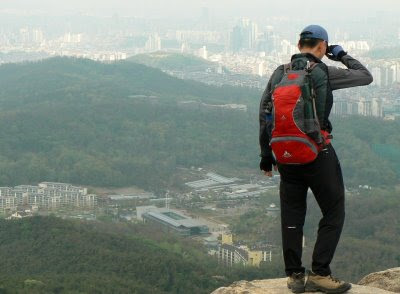 A hiker surveys the scene having reached the top of a shoulder of Kwanaksan. 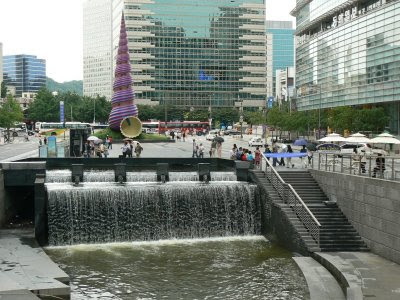 The beginning of the Cheonggyecheon stream in central Seoul. Another photo taken from my apartment window. 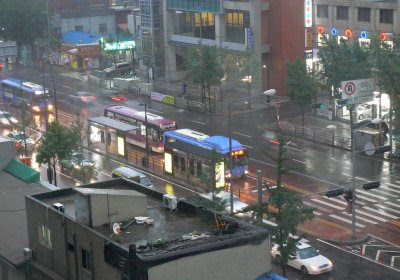 This time of a rainy late afternoon in Yongsan. A photo of a sign across the street from my apartment. 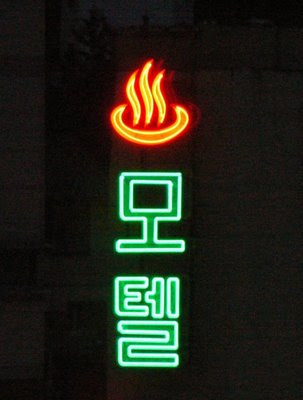 The Korean characters spell out "motel". 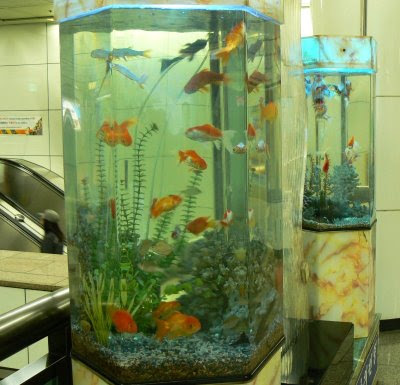 Goldfish do their thing at Gwanghwamun subway station. Diagonally opposite Gwanghwamun there is small park with paved areas, trees and ornamental gardens. 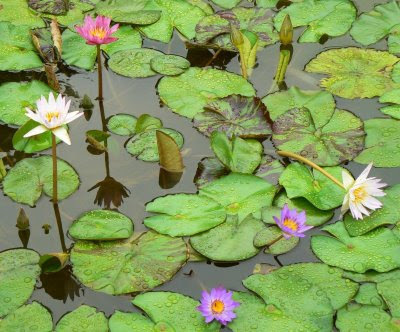 At the rear of the park there is a pond and at the moment the water lilies are in bloom. 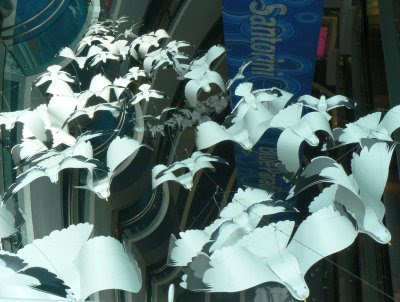 A flock of faux seabirds appears to fly up beside the escalators at the I'Park shopping complex a Yongsan. 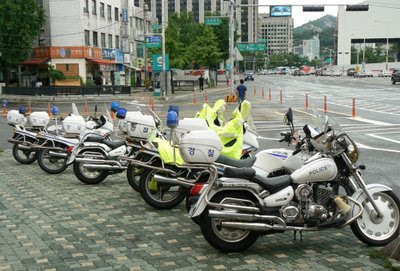 A row of police motorcycles near the Gwanghwamun Gate of the Gyeongbuk Palace. 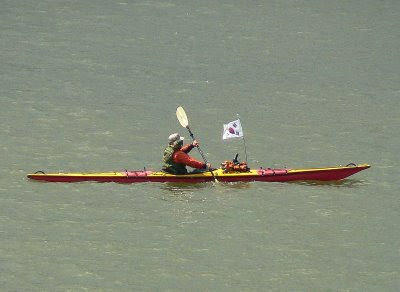 A man in a kayak proudly displays the Korean flag as he paddles up the Han River. 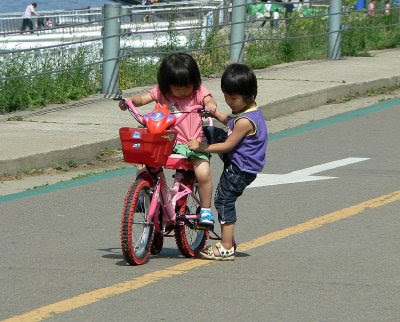 A young cyclist drops off her passenger in the middle of the bicycle path beside the Han River near Jamsil. 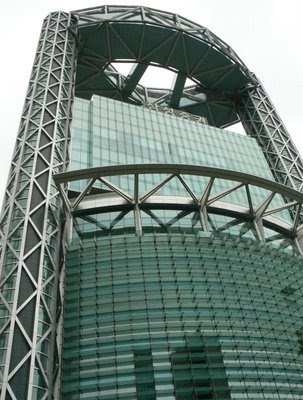 The iconic Jongno Tower above Jonggak subway station in Jongno, central Seoul. This photo was taken in the grounds of Changgyeonggung, one of Seoul's historic palaces. 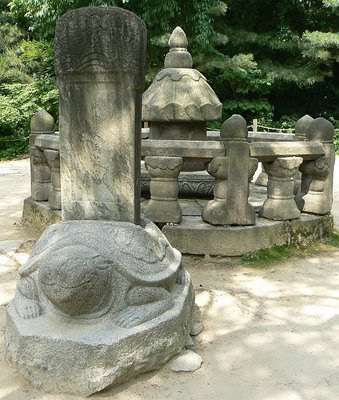 The structure at the rear is the taesil (a stone container that is used to store a placenta) of King Seongjong . In front is a stele (a vertical stone pillar with a commemorative inscription) mounted on the back of a turtle. 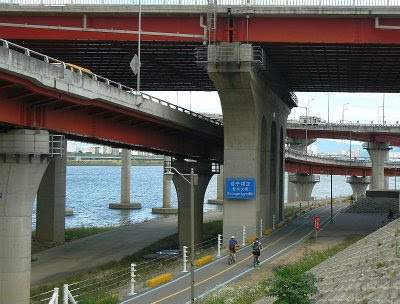 Firstly, today's image is a composite from three exposures of a bridge across the Han River well to the west of Seoul. 2. Each award has to have the name of the author and also a link to his/her blog to be visited by everyone. 3. Each award winner has to show the award and put the name and link to the blog that has given him/her the award itself. 4. The award winner and the one who has given the prize has to show the Arte y Pico blog so that everyone will know the origin of the award. 5. Each award winner has to post these rules. Just copy and paste the rules above. Copy, save, and paste the Arte y Pico award and pick your deserving five! 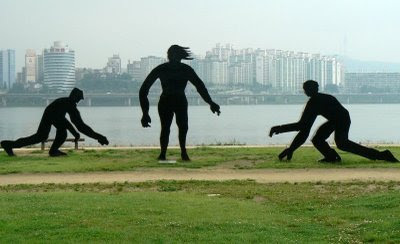 An interesting sculpture in Hangang Park beside the Han River. 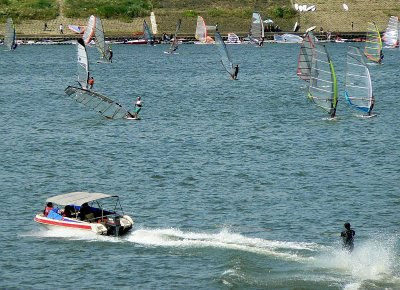 Seoulites take advantage of a warm summer's day and enjoy activities on the Han River near Jamsil. 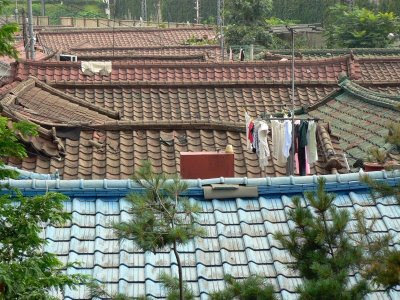 Rooftops of houses near the railway between Ichon and Yongsan stations. For at least one owner it was laundry day. 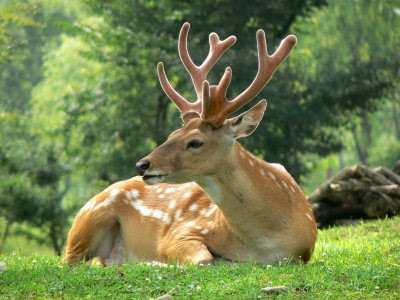 A deer rests in the heat of the day at Seoul Forest, Ttukseom, northeast of Seoul. 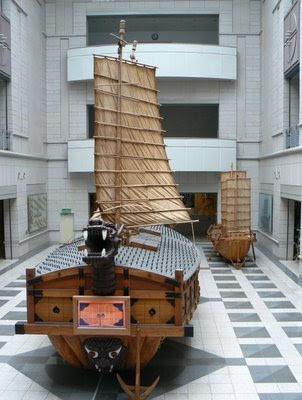 A replica of one of Admiral Yi's turtle ships at the War Memorial of Korea. 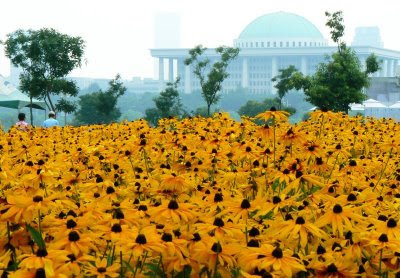 A massed floral display beside the Han River. Seen through the haze in the background is the National Assembly Building. This can of soft drink probably looks familiar to you even if you are unable to read the Korean script on the side. 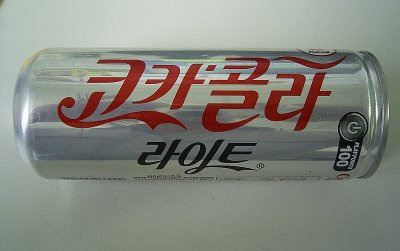 The writing on the can is in fact a phonetic Korean version of "Coca Cola - Light". 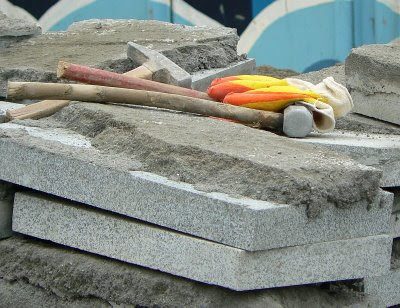 A worker takes a break from re-laying paving in Nakseongdae. A construction site on the west side of Dongjak subway station. The title of the post today comes from "The Gambler", famously sung by Kenny Rogers. The photo was taken in the entry hall of my apartment. 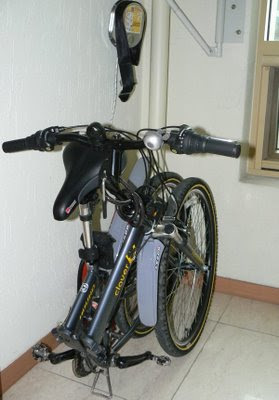 It shows my recently acquired folding bicycle which was produced by a Korean company called Samchuly. I bought it from my local bicycle store owner who operates a small shop just around the corner from my apartment tower. As you can probably see, it doesn't take up much space; an important factor in my choice from the available models. I could have gone for one with very small wheels and limited gearing, but opted for this one as it had full size wheels (26 inch) and 21 gears. It has a large hinge mechanism in the middle of the frame which allows it to be folded in half (hopefully NOT while I am riding it!). The vendor fitted mudguards, put in a longer seat post, gave me a lock and a reasonable discount on the catalogue price. I have take it for a couple of long rides east and west along cycle path beside the Han River and was easily able to keep up with the lycra-clad crowd. The catalogue photo and technical details (in Korean) can be seen here. By the way, the object hanging above the bicycle is a kind of harness that I could use to lower myself to the ground in the event that a fire traps me in my apartment. It is attached to a metal arm (which looks incapable of supporting my hefty mass) which can be swung out through the window, after you break the glass with a nifty little hammer. Let's hope that I never have to gamble on using it! 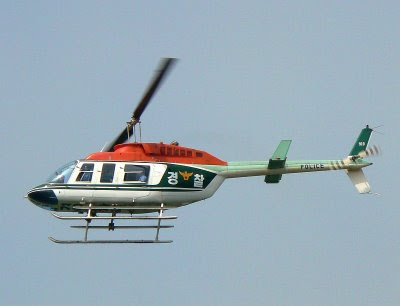 A police helicopter flies over the Han River near Hanganggyo. 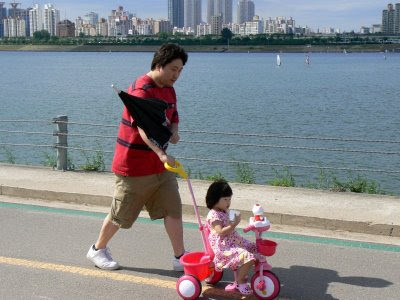 A man pushes his daughter along the cycle path beside the Han River near Jamsil. 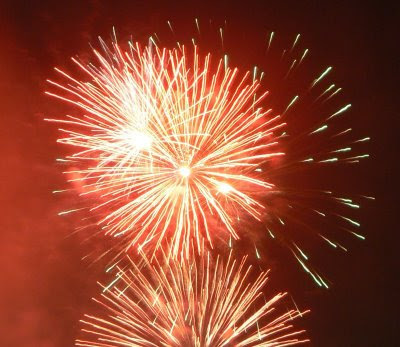 Last night there was a 4th of July fireworks display over the U.S. Army garrison at Yongsan. I took this snap hand-held from my apartment window. 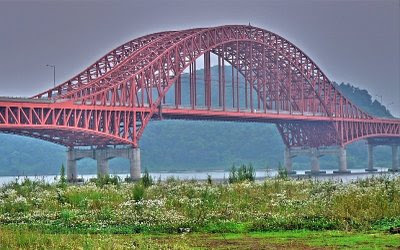 Seongsugyo, or the Seongsu Bridge across the Han River, is an impressive steel and concrete structure. However, at around 07:40 hours on 21 October 1994, it collapsed killing 32 people and injuring another 17. 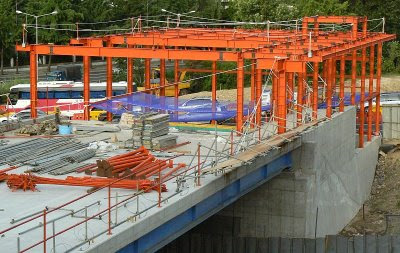 The rebuilt bridge reopened to traffic in July 1997. 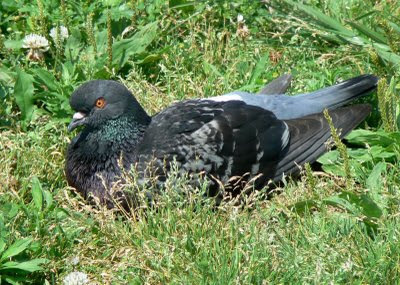 A pigeon rests on the grass in Hangang Park. We were having a picnic and this bird wandered over and sat very close to us. It didn't seem too interested in our lunch; maybe just wanted some company? 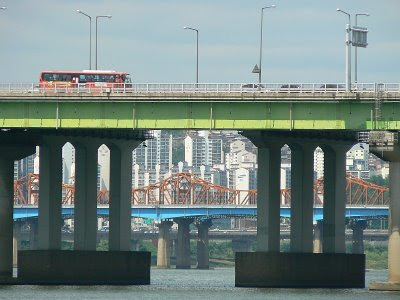 A red bus travels across the Hannam Bridge while under the span can be seen the blue and orange Dongho bridge at Oksu. If you look hard into the distance there is yet a third bridge that can be seen. 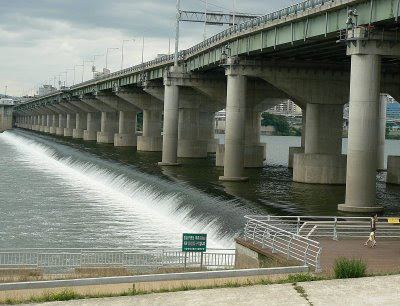 Water flows over the weir next to Jamsildaegyo on the Han River at Jamsil. Postscript - Although I didn't elect to participate in the theme day this month, the theme of which was "No . . ." signs, it appears that I accidentally did. The green sign at the bottom of the shot says, amongst other things, "No Fishing", as does the small yellow sign on the very right hand edge of the shot! I am an expatriate Australian living in the capital of the Republic of Korea (ROK), otherwise known as South Korea. All photos seen here were taken with a Panasonic Lumix DMC-FZ7 or a Canon IXUS 80IS. Please feel free to comment on any of the images. This is a Flickr badge showing public photos from phil_ologus. Make your own badge here.